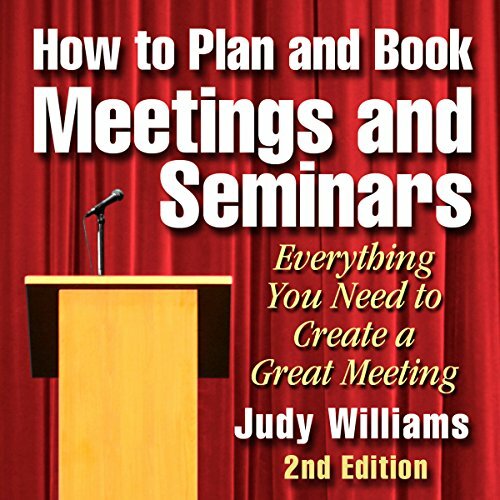 Showing results by author "Judy Williams"
Sooner or later, every business, association or organization will want to hold a meeting, seminar or trade show outside their regular offices. How do you find your way amongst the dizzying array of hotels, meeting halls, meal guarantees, accommodations arrangements, party packages, bar plans and billing procedures? Author Judy Williams, a veteran hotel and meeting planner, will guide you through the perils and pitfalls of organizing your event.